Marvel's new MMO superhero game is set to be free to play, in news that is sure to please penny-pinching comic book guys everywhere. Marvel Entertainment announced that its Gazillion-developed new Massively Multiplayer Online (MMO) super-hero game will be free to play at a San Francisco event this week. Marvel plans on going down the FarmVille route, offering the main bulk of the game free to players, with options for micro-payments for those players that want to buy virtual goods in the game. Gazillion Entertainment President and COO Dave Brevick said his studio's new Marvel MMO game will be a legitimately free experience that will also be a "triple A, high-quality, high-production value experience that is very accessible." Gamers will have the chance to play as one of their favourite Marvel superheroes – including Spider-Man, Captain America, Iron Man and many others – and the game will initially launch on PC. 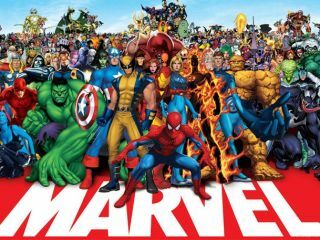 Expect more news on the new Marvel MMO from E3 2011 this coming June.